Metro is looking at several options to raise money, including ad sponsorship, public-private partnerships, and new express lanes. There’s also congestion pricing, which is charging drivers to use peak routes at peak times, and an added fee to ride-hailing services like Uber and Lyft and e-scooter rentals like Bird. How would the Uber/Lyft fee work? The Uber and Lyft fee, which might apply to e-scooters as well, is in a very early stage, reporter Laura Nelson told DnA. The board will be considering whether to approve a study into the concept, along with one into congestion pricing. Essentially they are looking into the idea of assessing either a flat fee for every Uber or Lyft trip, or a percentage of the total cost of the trip. The principle here is that these ride sharing and ride hailing services are using the public right of way for free; they do not contribute to maintenance of the roads. Add to that, although the companies brand themselves as “ride sharing,” Uber and Lyft actually contribute to congestion on the roads. A study of travel patterns in major U.S. cities last year found that 60 percent of customers would have gone by foot, bike or transit — or just stayed home — if the ride-hailing services had not been available. 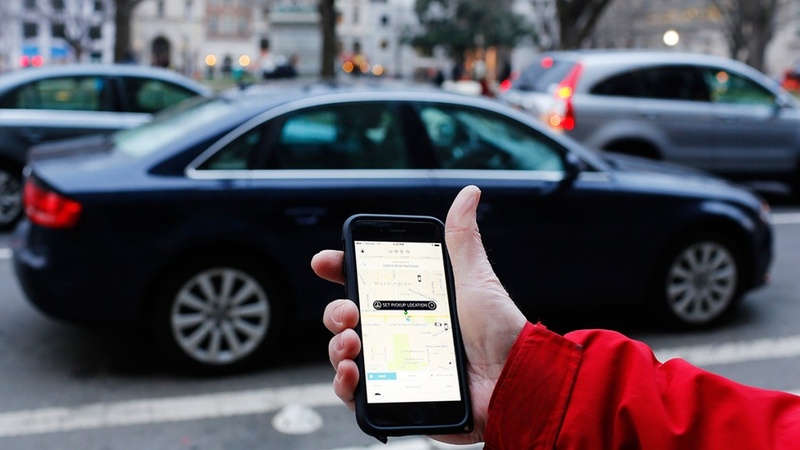 LA is not the only city to consider a tax on ride-sharing. New York City, Chicago and Washington DC assess a fee on Uber and Lyft. San Francisco is in the process of developing something similar. How do the ride-hailing services feel about this? According to the same LA Times article, Uber and Lyft don’t share detailed ride data with local officials, so how much the tax could raise is unclear. But Metro’s rough estimates suggest a 20-cent fee on each trip could bring in $401 million over a decade, while a $2.75 fee could raise $5.5 billion. These fees would likely be passed along to the customer. For example, Lyft and Uber pay a $4 fee for each pick-up or drop-off at LAX, and that is added to your bill. Metro wants people to drive less, and yet fewer people are using Metro services? Ridership has been plummeting on buses and most train lines, though not the Expo Line. Overall ridership has dropped 20 percent in the last 5 years, to the lowest level in more than a decade. Metro has a few explanations: Uber and Lyft, cheaper gas prices, and a better economy so people can afford to buy cars. But there are problems with the buses and trains themselves. When faced with the choice between train, bus or car, many people will choose the car despite the congestion. We reached out to listeners and heard concerns about speed and frequency. The transit doesn’t go fast or often enough relative to cars. There’s concerns about comfort: transit stops lack shade from the sun, for example. Then safety is a big issue, especially for women. Metro is aware of that and is in the middle of a study into how to attract women and girls to the services. Many women would like to see more guards on the trains, but Metro says guards can also be unwelcome to other riders. The areas around stations need to be improved too. The safety concerns also play into the question of urban planning. Right now many stations are almost empty at times and they are situated in areas where there are very few people on the streets. This matters because part of the transit experience involves getting to and from the station, and waiting for the train. UCLA transportation expert Michael Manville asks, “are you walking along an 80 foot wide arterial street, there’s not many people on the sidewalk? Or do you have a relatively narrow street with diagonal parking and shops that are open and people are flowing back and forth and it's well lit? A quarter mile in the latter scenario goes by a lot faster than a quarter mile in the former scenario.”Anyone who’s used public transit around the world knows stations invariably have a lot of economic activity around them: stores, coffee kiosks, street vendors, and so on. LA’s new lines are a young system in a region that’s been designed around the car. So it’s going to take a while to create this urban vitality. Metro bans food and drink on stations but it has a pilot project for a marketplace at the Westlake/MacArthur Park station with food vendors and sellers of tchotchke. They’ve licensed the number of vendors so it is a lively scene but not so crowded that you can’t get to the Metro entrance. The transit agency is also encouraging housing and businesses on land near stations, to stimulate a pedestrian-based lifestyle. Mixed-use projects known as transit-oriented development are starting to be built around stations and that will make a difference. People are already fed up with traffic. How are they going to feel about an extra charge for driving? That’s the dilemma politicians face. The best solutions to traffic are the most politically risky ones. Disincentivizing driving is a hard sell in a city built around the personal automobile.